Delicpol used to own a few brands, but decided to replace them with one umbrella brand and thus standardize the whole portfolio. That’s how a warm, joyful and feminine Delisana brand was created. 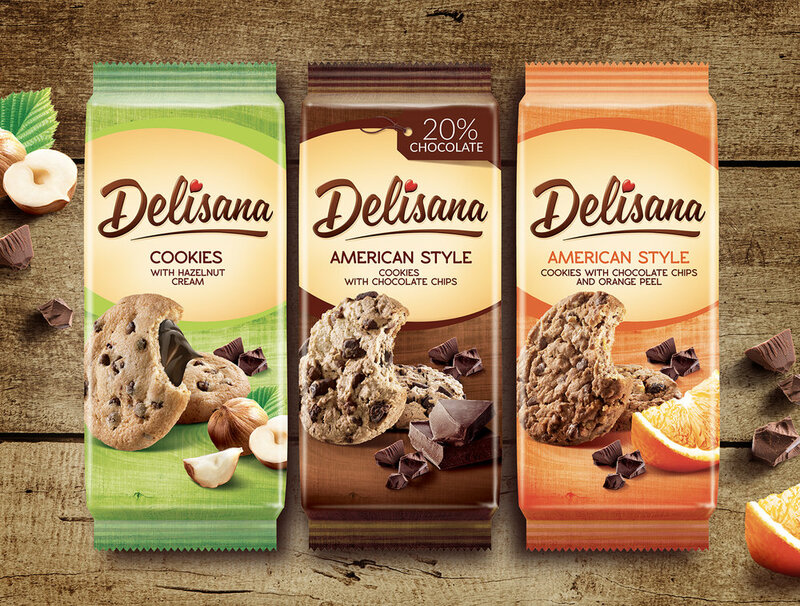 Delisana are high-quality cookies of such great variety that anyone with a sweet tooth will find something to their liking. We have created the logo and the packaging for this new brand, reflecting its main values. The sunny colour, freehand typeface and the subtle heart motif underline the emotional character, while the appetizing photographs of products and ingredients highlight their exquisite taste. A coherent brand architecture achieves a strong shelf effect while preserving the individual character of each of the product groups.